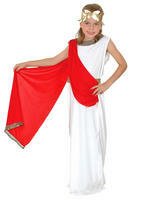 Wanting to dress as a skeleton this Halloween but worried you'll look the same as everyone else? 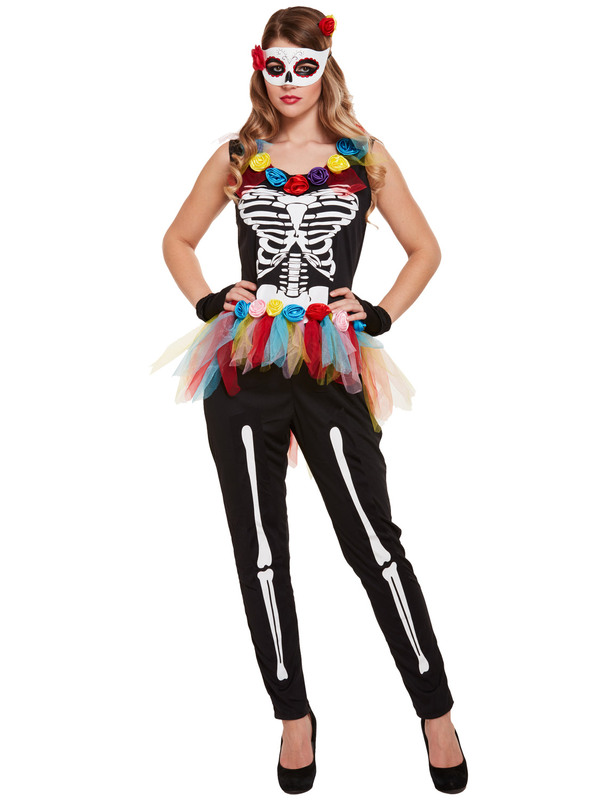 Why not try this colourful Day of the Dead inspired costume! Includes a black jumpsuit with colourful roses around the neckline and white skeleton printed on the body and legs. Also included is a small multi coloured belt with colourful rose waist band, a pair of black fingerless gloves and a black hair slide with attached red and yellow flowers!